Big BIG FINISH Week: Doctor Who Unbound - SYMPATHY FOR THE DEVIL Review | Warped Factor - Words in the Key of Geek. Back in 2003 when Big Finish was effectively the only way to experience new Doctor Who (or at least experience it in a form not too distantly removed from its TV origins), the company came up with a rather intriguing way of celebrating the show's fortieth anniversary year. Across six releases they explored a number of the series “what if?” scenarios, ranging from “what if the Doctor never left Gallifrey?” to “what if the Valeyard had won The Trial Of A Time Lord?” and even “what if Doctor Who had never made it on TV?”. The range, appropriately called Doctor Who Unbound, also saw a number of actors who had been considered for the role over the years finally taking the part. While the range presented excellent stories, perhaps none stands out quite as much as the second release: Sympathy For The Devil. Sympathy For The Devil opens in 1997 Hong Kong on the eve of its handover from the UK back to China and asks “what if the Doctor had never been UNIT’s scientific adviser?” Warner plays an alternative Third Doctor who arrives years past his intended date in a world that isn't quite our own and not quite that of the usual Doctor Who universe. He soon runs into a retired and disgraced Brigadier Lethbridge-Stewart (played as always by the late Nicholas Courtney) who is running a pub after years of UNIT failures. As the two catch-up, an invisible Chinese stealth jet crashes into a nearby hillside and draws in UNIT, currently commanded by Colonel Brimmicombe-Wood (a pre-Tenth Doctor David Tennant). As UNIT attempts to recover the plane and its passenger, the Doctor soon realizes he is facing an old enemy with a plan of his own. Warner’s alternate Third Doctor is a terrific example of what the range accomplished. Starting out in a bit of a daze from a regeneration, Warner's Doctor quickly gathers strength as the story goes along. There's perhaps more than a hint of Pertwee’s authoritativeness to him but he's also a bit calmer in dealing with authority figures than Pertwee's Third Doctor ever was. There's an air of dignity and compassion to Warner's Doctor as well the sense of man becoming aware of just how much time he's lost. It's a fine performance but not the only one to hear in the story. Indeed it's a supporting cast to behold. Nicholas Courtney gets a chance to play a very different version of the Brigadier in Sympathy For The Devil, playing a man who has been let down by the system and feels like he has failed in life following his years at UNIT without the Doctor by his side, one who almost needs the Doctor to bring him back to life. Another highlight is David Tennant's Colonel Brimmicombe-Wood, a fantastic foil for the Brigadier as he goes about issuing orders or berating the Brigadier on the ‘Probe 7 fiasco’ and how lives were lost whenever UNIT provided security at a peace conference while calling him "Lethbridge". The story also benefits greatly in its second half by the presence of the Master, played with considerable charm and menace by Mark Gatiss in a role that brings to mind a more malevolent version of Sherlock's Mycroft. Add on the rest of the cast and the result is superb. In fact the entire story could be termed superb! Jonathan Clements' script takes many elements from the UNIT era stories and puts them into a new context. These include a list of UNIT’s failures under the Brigadier, ranging from the Auton invasions dealt with by the ‘plastic purges', the aforementioned berating's by Brimmicombe-Wood, or how the plot draws on elements from The Mind Of Evil. Throw in some references to rather terrible real world events, including genocides and crack downs the world over, and you get a story that mixes our world and the Doctor Who universe together rather effectively. Indeed the script feels like a slightly post-modern look at the entire UNIT era and how it might have left a lasting effect on the world at large, something that only an Unbound story could really accomplish. The combination of performances, script and production values all come together to serve up a rather superb story. Classic series fans will revel in the references and chances to hear familiar characters in a new context, while fans of 21st century Doctor Who will likely enjoy the chance to hear Tennant and Gatiss playing different roles to what they would do in the series itself just a few years later. 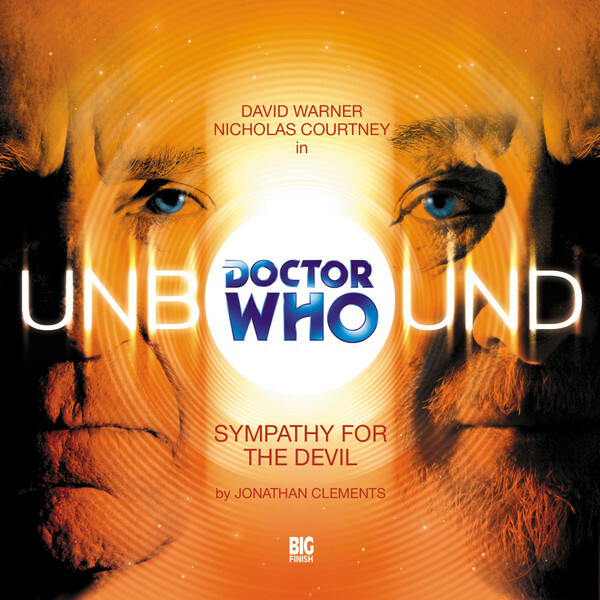 Sympathy For The Devil might well rank as one of Big Finish's best ever productions and (despite its Unbound nature) serve as a prime example of what Big Finish can do at its very best.